In this article, we will cover the most common diseases of the biliary tract. Because this is an introductory article, we will only discuss the definition of such diseases, the clinical presentation, and the diagnostic workup. Different diseases can affect the biliary tract. The symptoms and signs of such diseases are similar; hence it makes sense to summarize these diseases in a single introductory article. 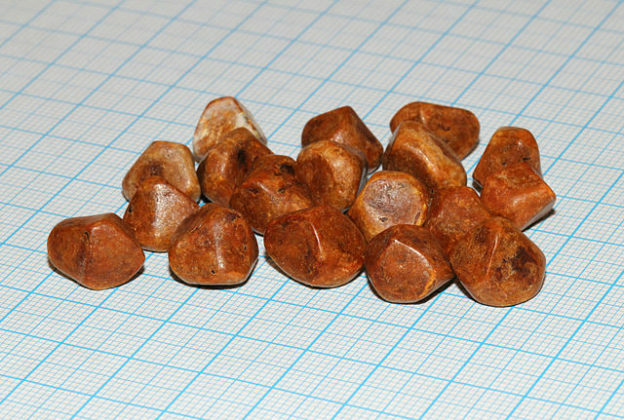 Gallstones are cholesterol stones (85 %) or pigment stones (15 %) that form within the gallbladder. They are typically asymptomatic, however, up to 20 % of the patients who have silent gallstones would become symptomatic in the next 15 to 20 years. If symptoms occur, the most likely cause of pain would be the obstruction of the bile duct. If an obstruction occurs, the patient might develop acute cholecystitis. Acute calculus cholecystitis is the name implies is an inflammatory condition of the gallbladder that is associated with gallstones. The patient typically complains of biliary pain for 5 hours prior to the development of acute cholecystitis. The initial cause of the inflammation is a direct chemical irritation to the gallbladder wall. Because there is an obstruction to the outflow of the bile, a secondary bacterial infection develops. This condition is characterized by common hepatic duct obstruction due to extrinsic compression by a stone that is impacted in the cystic duct. Up to 1.4 % of the patients who undergo cholecystectomy for a suspected cholecystitis are later discovered to have this syndrome. In contrast to the typical form of cholecystitis that is associated with gallstones, acute acalculous cholecystitis usually develops in patients who do not have gallstones. The most likely explanation is an ischemic injury to the gallbladder. The gangrenous gallbladder may develop if the condition goes unnoticed. Patients with gallstones might develop chronic cholecystitis. The symptoms are usually nonspecific, and the pathogenesis is not fully understood. There is mononuclear infiltration of the gallbladder wall that is associated with fibrosis and epithelial metaplasia. Patients with chronic cholecystitis might develop gallbladder carcinoma. Prolonged biliary obstruction leads to cholecystitis and persistent right upper quadrant pain. The nature of the pain is similar to gallstones, except that it persists for hours or days. Nausea, vomiting, and low-grade fever are often associated with cholecystitis. Cholangitis is an inflammatory condition of the biliary system that is infectious in etiology. Cholangitis might develop secondary to benign or malignant obstruction of the biliary tract. The most commonly isolated organisms are Escherichia coli and Streptococcus faecalis. The main pathogenesis factors of acute cholangitis are biliary tract obstruction, elevated intraluminal pressure, and infection of bile. Biliary obstruction diminishes host antibacterial defenses, causing immune dysfunction, leading to a rise in small bowel bacterial colonization. Bile is sterile, but due to the presence of gallstones the incidence of bactibilia increases in it. Bacteria gain entry to the biliary tree by reverse ascent from the duodenum. This propels the infection to ascend into the hepatic ducts, causing infection. Increased biliary pressure further spreads the infection into the biliary canaliculi, hepatic veins, and perihepaticlymphatics, leading to bacteremia. PSC is a chronic inflammatory condition that is characterized by nonsuppurative inflammation and fibrosis of the biliary ductal system. The etiology is unknown and there is a clear association between ulcerative colitis and Crohn’s disease. Patients present with fatigue, pruritic, and jaundice. PBC is a progressive cholestatic biliary disease that presents with itching and asymptomatic elevation of alkaline phosphatase. There is a progressive destruction of the bile ducts. Gallbladder carcinoma is a rare neoplasm that has an incidence of 2.5 per 100,000 per year. More than 6,500 patients die from gallbladder carcinoma in the United States each year. Cholangiocarcinoma is usually associated with chronic cholestatic liver diseases such as PSC, choledochal cysts, or oriental cholangiohepatitis. Exposure to asbestos is another risk factor for cholangiocarcinoma. Ampullary cancer accounts for only 8 % of biliary tract cancers, making it the least common biliary tract tumor. Ampullary cancer typically presents with painless jaundice or acute pancreatitis. The clinical presentation of the previously mentioned conditions is similar. Patients might develop biliary-type pain, become jaundiced, develop pruritus, fatigue, weight loss, or be asymptomatic. The most common presenting feature of the biliary disease is a biliary-type pain. The pain is often localized to the upper abdominal area. The pain is more of a penetrating ache or tightness. It starts suddenly, lasts for 15 minutes to few hours, and then resolves suddenly; i.e. colicky. The pain might be referred to the posterior scapula or the right shoulder area. Patients with biliary-type pain might develop nausea or vomiting. 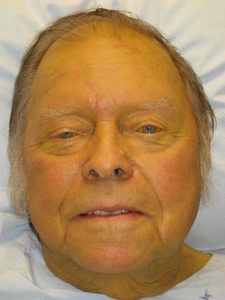 The yellow discoloration of the skin and sclera is known as jaundice. Jaundice can be clinically appreciated when the serum bilirubin levels rise above 3 mg/dL. Jaundice might be associated with abdominal pain. The pain is typically biliary-type. Painless jaundice is seen in patients with ampullary cancer or other malignant obstructions of the bile duct. In contrast to painful jaundice, painless jaundice is usually gradual in onset. Patients with painless jaundice have acholic loose stools, weight loss, and anorexia. Patients with cholestasis can develop an itching sensation. Itching typically starts in the hands and feet. It can become generalized and is usually worse at night. Itching is seen in patients with hepatic and biliary cholestasis. Patients with PBC or PSC might develop fatigue which is usually followed by pruritus and then jaundice. Patients with malignant biliary disease might develop weight loss and anorexia. Patients with biliary disease might also develop fatty food intolerance, gas, bloating, and dyspepsia. Alkaline phosphatase is usually elevated in patients with cholestasis. Infiltrative diseases of the liver and fungal liver infections are also associated with markedly elevated levels of alkaline phosphatase. Elevated gamma-glutamyl transpeptidase levels are more specific to biliary tract obstruction and biliary disease. Bilirubin levels are also elevated in patients with biliary tract obstruction. Aspartate aminotransferase AST and alanine aminotransferase ALT levels might be elevated in patients with acute posthepatic biliary obstruction. Antimitochondrial antibodies are found in up to 95% of cases of PBC. Antineutrophil cytoplasmic antibody and anti-Saccharomyces cerevisiae antibody are positive in patients with ulcerative colitis and Crohn’s disease. These two conditions are associated with PSC. Right upper quadrant ultrasound is useful in the evaluation of a patient with biliary-type pain. The gallbladder is often found to be distended and gallstones can be easily visualized with ultrasonography. Murphy sign is positive in patients with cholecystitis. Endoscopic ultrasonography is useful in the detection of intraductal stones which might be missed on conventional ultrasonography. Computed abdominal tomography CAT scanning is not routinely used in the evaluation of the biliary system. Endoscopic retrograde cholangiopancreatography ERCP and magnetic resonance cholangiopancreatography MRCP provide excellent images of the biliary ductal system. While ERCP is an invasive procedure compared to MRCP, it has the advantage of being therapeutic as well. Hepatobiliary scintigraphy is helpful in confirming the diagnosis of acute cholecystitis. The non-visualization of the gallbladder confirms the diagnosis of acute calculous cholecystitis. Dietary modification of decreased fat intake is highly recommended to enhance a decrease in the occurrence of biliary colic. Patients with biliary colic should refrain from eating fatty or spicy foods and contact their physician for the persistent emergence of pain or fever. Gallbladder gangrene is a complication in up to 20% of cases of cholecystitis and more specific in diabetics, the elderly and immunocompromised persons. Gallbladder perforation may occur in patients with cholecystitis. Localized perforation which forms abscess is seen as a pericholecystic fluid by ultrasonography. The occurrence of free perforation is also a complication which results to release of bile and inflammatory matter intraperitoneally, causing peritonitis. Perforations occurring next to a hollow viscus leads to the formation of a gallbladder enteric fistula into the duodenum. Gallstones are passed via the fistula into the bowel and obstruct the ileocecal valve, which causes gallstone ileus leading to fatalities because its diagnosis is difficult. Treatment comprises of cholecystectomy, common bile duct exploration, and closure of the fistulous tract. Cholecystitis and biliary colic complications may include cholangitis, sepsis, pancreatitis, hepatitis, and choledocholithiasis.